Preheat the oven to 225 F, place the rack in the center of the oven. Line baking sheets with parchment paper and set aside. In a mixing bowl, whisk the egg whites on low-medium speed until foamy. Add cream of tartar and continue to beat until the egg whites form soft peak. Add sugar, a little at a time, and continue to beat on medium-high speed until the egg whites form stiff peak. Beat in food flavoring and coloring. 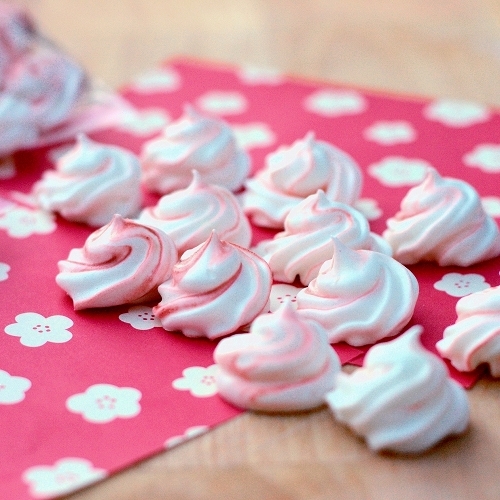 Transfer the meringue to a piping bag fitted with appropriate tip. Pipe the 1 inch rounds of meringue in rows onto the parchment paper. Bake meringue in the oven for about 70-90 minutes. Turn off the oven, then leave the baking sheets inside the oven for several hours to overnight to dry the cookies. 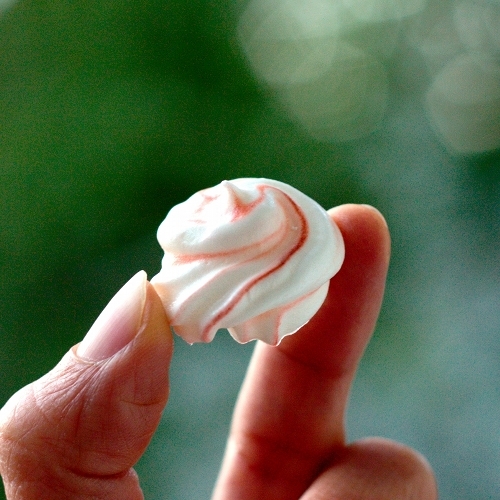 how many meringues does this recipe make? These look adorable, and totally delicious! And of course I couldn't be happier to be doing #cookielove this month with another vegan, especially you!